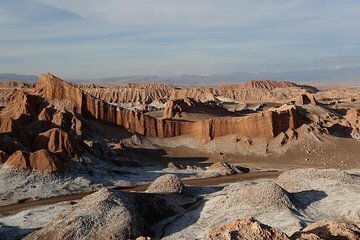 Skip the crowded group tours to Death and Moon Valleys by booking this private guided tour, which takes you directly into the valleys from your hotel in San Pedro de Atacama—no waiting for other guests. Walk through the colorful desert landscape of Death Valley before continuing to explore the lunar landscape of Moon Valley. Visit the salt structures known as "Las Tres Marias" and conclude your tour with a magical sunset over the valley.